YAMA TEACHING ARTISTS HAVE YEARS OF EXPERIENCE IN THE CLASSROOM AND ON THE CONCERT STAGE. EACH TA BRINGS A UNIQUE WAY OF CONNECTING WITH STUDENTS, TEACHING, AND CONTRIBUTING TO THE YAMA COMMUNITY. Alex Pualani -- or Mr. P, as he is affectionately known at YAMA -- believes that studying an instrument and finding your voice are interconnected and parallel processes. As a member of YAMA's Founding team, Mr. P embodies and champions this philosophy in all of the teaching he does at YAMA, from teaching young cellists and conducting orchestras to coaching new Teaching Artists on the YAMA team. As a Black cellist in central Washington, Mr. P is both a pioneer and an advocate, familiar with the constant cultural straddling required of young musicians of color and constantly fighting to make the classical world a place that not only welcomes, but needs, the talent, perspectives, strengths, and voices of young musicians of color. Alex lives with his wife Beth, son Gabe, daughter Harper, and two dogs, Abby and Brahms. He is a member of the Mid-Columbia Symphony Orchestra and maintains a large studio of cello students of all ages. To learn more about Mr. Pualani, visit his website here. As Operations Manager for YAMA, Sue Chirco-Coontz brings to the organization over 16 years of experience with the Yakima Symphony Orchestra where she worked as Ensembles in Schools coordinator, office administrator, customer relations manager, box office manager, volunteer coordinator, and personnel manager. In addition, she spent nearly a decade in the private school sector as a classroom assistant and school secretary. As a classically-trained vocalist, Mrs. Chirco-Coontz is passionate about music and is thrilled to be a member of the YAMA team. She received a B.S. degree in Health/Religion from Weimar College with subsequent studies in Elementary Education from Pacific Union College and Walla Walla University. Throughout her high school and college years, and beyond, she dedicated much of her time to participating in a variety of solo, duet, trio, and choral works, including the role of Edith in Gilbert and Sullivan’s Pirates of Penzance. Mrs. Chirco-Coontz enjoys spending time with her husband, Brian, and immersing herself in nature, especially the forest and mountains. Favorite activities include gardening, hiking, mowing the lawn, and studying maps. A native of Washington State, Vanessa has established herself in the Pacific Northwest as a versatile orchestral musician, chamber player, soloist, and educator. She collaborates with orchestras across states, serving as Assistant Concertmaster of the Salem Symphony, first violinist with the Yakima Symphony, and regularly performing with groups including the Spokane Symphony, Auburn Symphony, Newport Symphony, and Vancouver Symphony. In 2014, Vanessa was invited to tour with the Fairbanks Symphony to South Korea for the Gumi International Music Festival. As a soloist and chamber musician, Vanessa has been seen performing with Cascadia Music’s Pipestone Orchestra and is a frequent guest artist to Twisp Work’s Spartan Project (Twisp, WA) and the Washington Allegro Vivaci Ensemble (Bellingham, WA). She was featured soloist with Central Chamber Orchestra, as well as the recipient of the 2013 Achievement in Live Performance award for her performance of Vaughn William’s Lark Ascending. As violinist of the Mundana Trio, Vanessa toured to New York City, placing second at the National level of the Music Teachers National Association Competition. 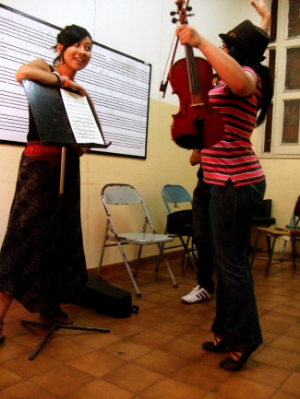 As an educator, Vanessa is committed to sharing her passion and the discipline of musical practice through both her private studio and El Sistema inspired programs, working with both Portland’s BRAVO Orchestras and Yakima’s Yakima Music En Accion (YAMA). She is thrilled to be joining YAMA’s incredible team next year as a teaching artist. Vanessa is a graduate of Central Washington University, her primary teachers have included Carrie Rehkopf-Michel and Denise Dillenbeck. Joshua Gianola, a founding member of the YAMA team, brings with him a wealth of teaching and performing experience. He has served as principal percussionist of the Yakima Symphony Orchestra since 2013, and is an active free-lancer in the Northwest. Josh has shared the stage with the Oregon Symphony Orchestra, Vancouver Symphony, Newport Symphony, Mid-Columbia Symphony and many other fine ensembles. Josh currently works with the YAMA orchestras as a viola coach, theory teacher, and large ensemble conductor. He can also be found every day working with Toppenish High school and Middle School as their percussion specialist. Josh holds a Masters in Music degree from Portland State University, and an undergraduate music degree from Central Washington University. When not performing or teaching, Josh enjoys cooking, hiking, and watching West Wing at home with his fiancé Vanessa Moss, black lab Gilly, and cat, Cat. Eva Stoumbos, double bassist, started playing bass in sixth grade orchestra class and has never looked back. Originally from Vancouver, Washington, Eva has played in orchestras and festivals around the Northwest and is currently pursuing a B.M. in double bass performance from Central Washington University, studying under Dr. Anna Jensen. Eva is thrilled to return to YAMA to work with the Philharmonia Orchestra for another year of music-making. Aaron Hirsch is excited to begin his first year as YAMA Philharmonia conductor. Aaron, a native of Minnesota, lives in Ellensburg with his wife Erin, and works at Central Washington University as an Adjunct Professor of Orchestral studies. In this position he conducts the chamber orchestra and teaches conducting courses. Furthermore, Hirsch is going into his third year as Cover Conductor for the Yakima Symphony Orchestra. 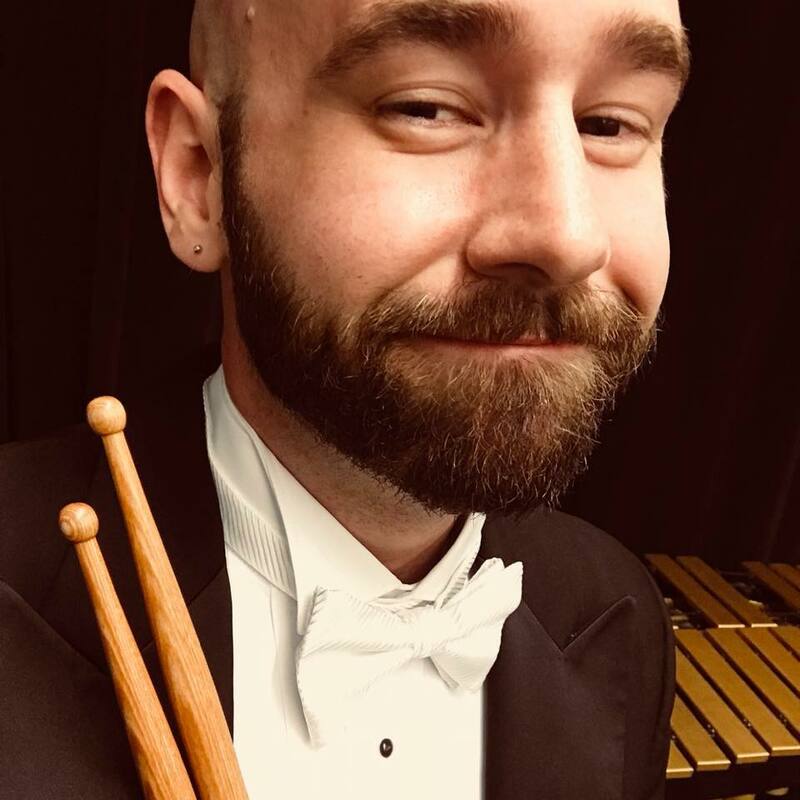 As a conductor, Aaron has experience working with the Dresden Philharmonic Chamber Orchestra, Oregon Bach Festival Baroque Orchestra, the Wenatchee Valley Symphony Orchestra, Yakima Youth Symphony, Young Musicians of Minnesota, Minnesota Youth Symphonies, and the West Seattle Community Orchestra. He is also an avid educator, and is in demand as an adjudicator for orchestra and piano festivals around the Northwest. In addition to his conducting, Hirsch sings with Yakima-based ensemble Canticus, is a frequent recitalist on the organ, and collaborative pianist with faculty and students at CWU. For more information, visit www.hirschmusik.com. Adam Weiss was brought up as a Suzuki kid on the west side of the state, but has since fallen in love with the land across the mountains. After graduating with a B.A. in Music and a minor in Computer Science from Central Washington University, they plan to move to Yakima to continue as a Teaching Artist at YAMA. A violist and improviser at heart, Adam seeks to help reintroduce the lost art of improvisation back into classical music. They are excited to both teach and learn from the students along the journey to revitalizing the classical world. My name is Joseph Zambrano. I’m a family man first and attempts to be a writer second. Born and raised in the middle of the world. I studied Media Communications at Universidad Catolica de Santiago de Guayaquil. Once upon a time, I was a news reporter for a few newspapers (The Yakima Herald & The Wenatchee World.) I count running, reading, music and dancing among my myriad interests. Mezzo-soprano Katie Kibota is from Vancouver, Washington. She is recent graduate from Central Washington University (CWU), with a Bachelor’s of Music in vocal performance as well as a Bachelor’s of Music in music education. During her time at CWU, Katie sung the operatic roles of Meg Page in selected scenes from both Verdi’s Falstaff and Nicolai’s Die lustigen Weiber von Windsor, Papagena in Mozart’s Die Zauberflöte, and the Old Lady in Torke’s Strawberry Fields. From 2014-2017 Katie was an award winner in the classic division of the National Association of Teachers of Singing (NATS) Regional Competition. She was also recently awarded a 2016 Helen Price Encouragement Award from the Metropolitan Opera National Council Northwest Regional Auditions. Off the operatic stage, Katie performs with multiple chamber ensembles, including a recent performances as the soloist in Crumb’s Night of the Four Moons, Heggie’s The Deepest Desire: Four Meditations on Love, and Loeffler’s Quatre Poèmes. Katie has previously served as the music director of Encore Community Theatre in Vancouver, Washington. She is excited to be a part of the YAMA team and expand her teaching to the Central Washington region! Levi Golan has been playing the violin since the age of 4. He fell in love with classical music and attended Central Washington University for violin performance, with the ultimate goal of becoming a conductor. He has worked with symphony orchestras throughout the Pacific Northwest. Currently he works as a Teaching Artist at YAMA and is also the music director at Christ the Teacher Catholic School. Joe Sawyer is a Sophomore at Central Washington University where he studies Cello Performance and Music Education under the instruction of Professor John Michel. Growing up in Bellingham, Washington, Joe started playing the cello in the 5th grade strings program and moved on to study with Coral Marchant for 8 years. Joe has played in many music festivals and camps, such as the Seattle Bach Cello Marathon and Marrowstone Music Festival, and played in masterclasses with Efe Baltacigil, Zuill Bailey, and Narek Harutyunyan. Joe hopes to open his own private cello studio in the future and pass on his love of music to others. He is excited for a great year of music making and learning with YAMA and is more than excited to work with amazing, eager students, and join the creative, intellectual, and kind individuals that make up the YAMA team.